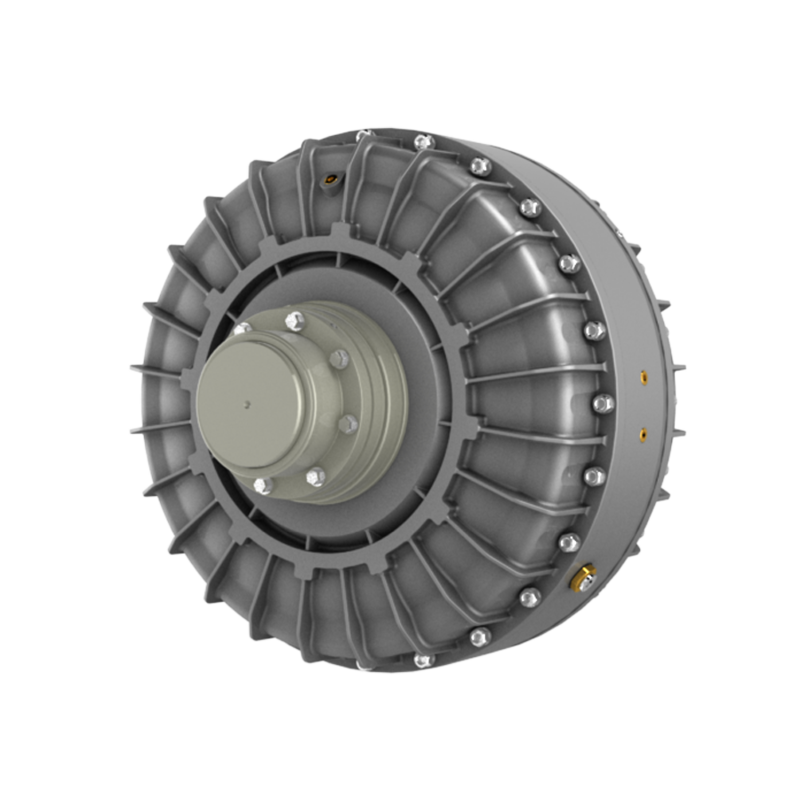 The KX is a fluid coupling with a special patented circuit designed to start up large inertia machines driven by eletric motors. The circuit includes two internal tanks connected by a scoop. 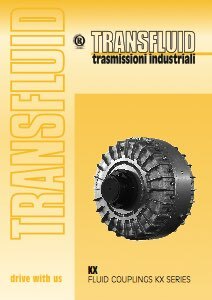 The scoop works like a differential pump transferring the fluid from one chamber to the other and finally into the coupling working circuit through external adjustable valves. This double passage allows a long starting time with very low starting torque and absorbed current by the electric motor, virtually isolating the effect of the inertia of driven machine. 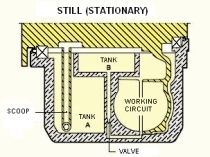 The fluid quantity in the working circuit is less than in traditional constant fill fluid couplings, as the fluid level is much lower than the rotating axie. 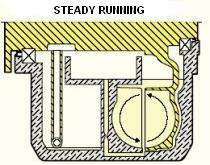 The reduced fluid quantity in the working circuit allows low starting torque. 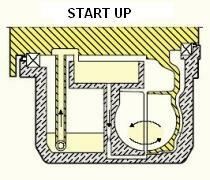 During input rotation the scoop transfers the fluid from tank A to tank B and then, through an adjustable valve for starting time regulation, to the working circuit. KX has a fusible plug that in case of intevention, releases the fluid from the working circuit to a tank preventing leakages into the ambient.